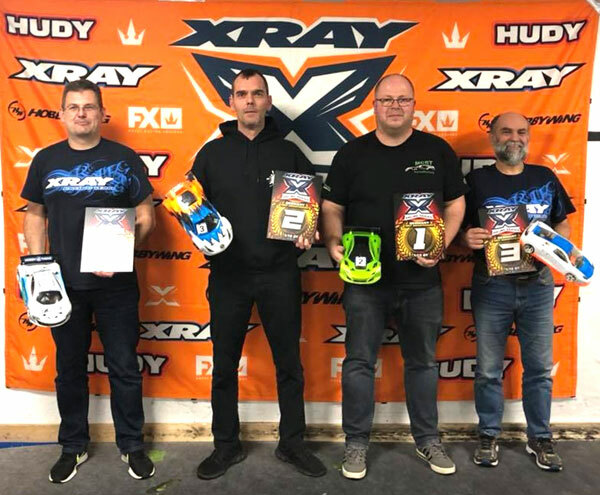 The 2nd round of 2018 XRS Germany was held at the permanent track of MCRT-Aschaffenburg. It was the last time the race took place at this facility since the track is likely to be closed in the first quarter of 2019. However a new, bigger and even better track will be build near the old one. Stay tuned for that. Even tough the team did a great job. Organisation was good and the race track was prepared fine. As the track is known for its small technical layout it demanded a lot from all drivers to make all clean runs. The classes run were Touring Car Stock, 1/12 GT Pan Car, Touring Car FWD and Formula 1. Most of the drivers already started on Saturday with free practice on the schedule all day long. In the evening a new dinner was organized for all who wanted to join. (and driver) showing outstanding performance. 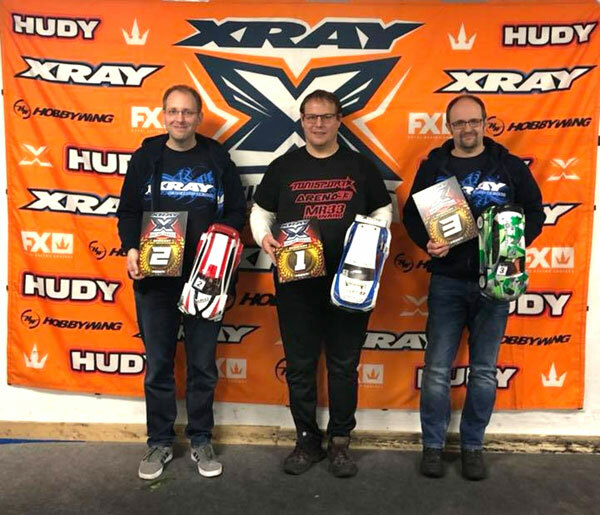 In Formula One Johannes F. dominated the field with his XRAY X1. 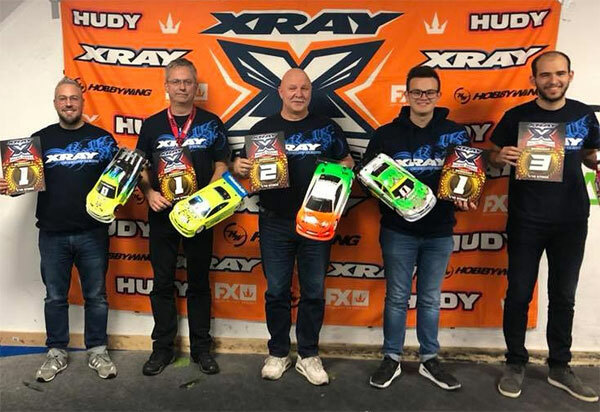 In 1/12 GT Pan Car Felix R. Was the driver topping the lists followed by Benedikt N. With his XRAY X12. of pure fighting, but everything stayed fair. Thank you for that it made a lot of fun! Formula One Johannes Fecher took a tone-to-tone win in A1 and A2 to seal the deal. FWD was quite the same story as Formula A1 with Harald S. taking the win in with a really good performance. In A2, Harald Schmittgen had some really intense, but still fair fights. In the end he was able to withstand the enormous pressure set by 2nd place runner Dirk Keller. So this one was decided right after A2 as well! 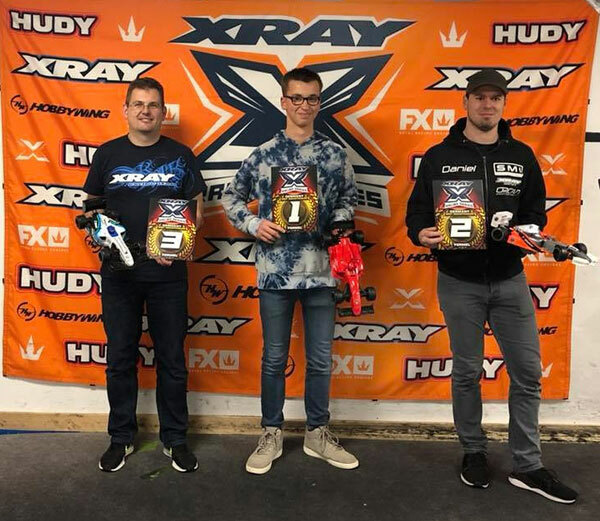 Benedikt Neubert took the win with his XRAY X12. In A2, Benedikt was able to repeat his performance of A1 again which made it the third class the winner was decided after A2 already!